Board portal is an app or software designed to provide secure digital communication among the board of directors and the company. The users have online access to both historic and current documents in addition to multitude of other tools to ensure secure communication. Such technological developments in IT sector has surged the demand for adopting the board portal services in the companies globally. Moreover, the surging demand to deploy advanced management systems and growing requirement to safeguard the shareholders trust across private sector enterprises, has increased the adoption of digitized services. The board portal market was valued US$ 3360 Mn in 2017 and is anticipated to reach US$ 7930 Mn by 2022. Board portal is a computerized workspace that allows directors and senior executives to securely access the confidential documents on any electronic gadget. 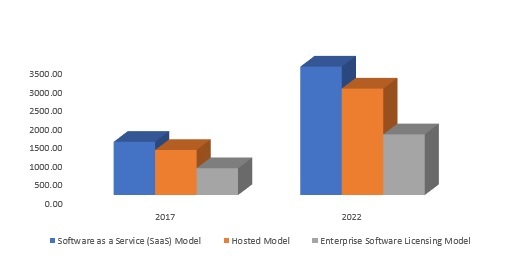 Technological advancements in IT solutions such as software as a service (SaaS) model is the major factor driving the growth of board portal market. Hence, a desire for effective and reliable solution for secure exchange of documents is gaining importance. Industries such as BFSI, healthcare, education, oil & energy, non-profit organizations and others operate on advanced technologies such as software as a service (SaaS) model, hosted model and others. Growing government regulations and increasing board duties are encouraging the organizations to adopt the board portal technology. Although market is impacted by high initial cost of implementation and deployment, the increase in number of cybercrimes is expected to influence the growth of board portal industry. Surging mobility and globalization is increasing the demand for fast, secure and efficient board communication. Moreover, the increasing adoption of user friendly algorithm and new product development is expected to further deepen the market penetration of board portal over the forecast period. Financial services are expected to hold the highest market share among the other board portal end users. Board portal in financial institutions helps in increasing efficiency and ensure secure exchange of confidential documents. For instance, the Aprio Boardroom, allows efficient access and data security for board information. Owing to these efficient factors, financial institutions globally are largely adopting board portal technology into their organizational structure. Furthermore, no additional requirement of hardware and staff to maintain the solution has inhibited the importance of board portal systems in the financial sectors. North America region holds the largest market share among other regions for board portal market. 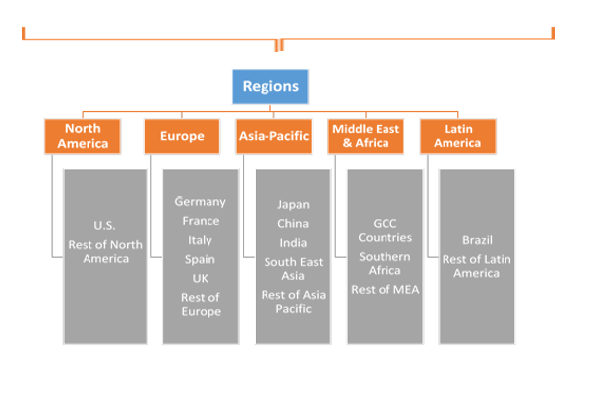 The region accounts for major board portal users in the global market. The rising demand for advanced technologies in IT solutions in financial institutions and educational institutes amongst other industries in North America has contributed the growth in the region. Focusing on stringent security, the financial institutions in North America are adopting SaaS model for secure data exchange. In 2017, Banc Intranets, LLC designed enterprise content management software for credit unions, which replaced excess storage space requirements with real-time postings. 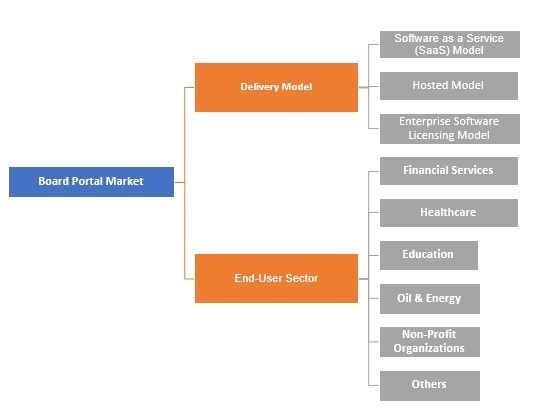 The board portal market report covers both, qualitative and quantitative research of the market, as well as include comprehensive insights and developments methods adopted by the key players. The report encompasses competitive detailed analysis of the key players which are driving the market. The key business strategies such as Mergers & Acquisitions, affiliations, collaborations, and contracts adopted by the major players are also recognized and analyzed in the report. For each company, the report recognizes their manufacturing base, competitors, product type, application and specification, pricing, and gross margin. Some of the primary market participants are Computershare Limited, Diligent Corporation and Nasdaq, Inc Admincontrol, Aprio Inc., Azeus Systems Ltd., Banc Intranets, LLC, BOARDEFFECT, Boardpaq LLC, Boardvantage, Directorpoint LLC, eShare Ltd., ICSA Boardroom Apps Limited., Leading Boards, M29 Technology and Design, Modevity, LLC, Passageways, Sherpany, StreamLink Software Inc., amongst others.